Artists are found everywhere, even in the most remote areas of the world. But how do they learn proper techniques, and how do they sell their work? 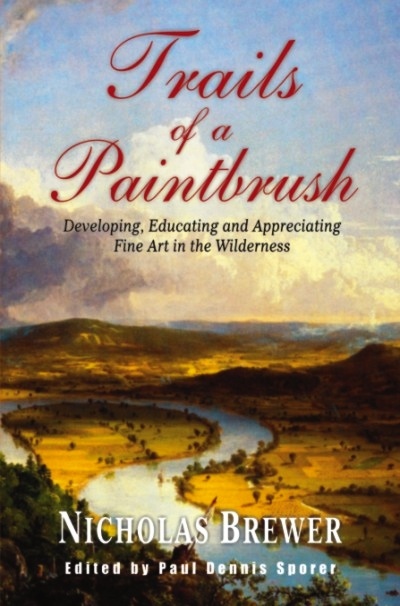 Trails of a Paintbrush is an engaging, colorful narrative about a man born and raised in the Western wilderness of the United States, but whose aspirations quickly outgrew even the vast expanses that surrounded him. From an early age, Nicholas Brewer wanted to be a great painter, but had little knowledge of European art techniques. He tells a delightful story, recalling many important events that punctuated his difficult early life in the backward, sparsely settled territories. Yet the overriding desire year after year was to satisfy his thirst for knowledge in the field of art. He began to travel, and this gave him new opportunities to grow and learn. Brewer reveals to us his struggles in comprehending the intricacies and complexities of art, and his deliberate progress in acquiring the aptitude necessary to become a master painter. He also developed superior taste, clearly preferring the traditionalist-realist form, to the modern abstract. In the end, Nicholas Brewer, through strong self-determination, overcame the obstacles in his social environment, and developed not only excellent technical skills, but a very personal style. He became a financially successful painter, and had many illustrious clients. As for the marketing of art, Brewer strongly believed in the usefulness of the patronage system; in fact, he comments that although in the past aesthetically sophisticated people were the patrons of great art, now such support is in the hands of artistically ignorant millionaires. Trails of a Paintbrush teaches us that, even when the individual is not adequately supported by the society in which he lives, a love of great art can assist him in reaching his dreams and fulfilling his vision.